You manage a book collection that balances print and ebook titles for your users’ convenience. As a ProQuest customer, you have access to a wide range of collection management services, including a technical services team and a collection consultant team to help streamline your print and electronic book workflow. Taking a consultative approach, ProQuest offers the services to help you feel in control throughout the collection management process, from profiling to ordering and invoicing support to cataloging and processing tools. The OASIS Collections Consultants at ProQuest work collaboratively with librarians to build book profiles and plans that best meet a library’s book collection goals and budgets. The OASIS Technical Services team of experts helps streamline a libraries print and electronic book workflow with needs-based cataloging (MARC) support, multiple physical book processing options and customized partner workflows and integrations. iFound is an integrated out-of-print and hard-to-find service that allows libraries to search and purchase second-hand books via OASIS. Resources for College Libraries™ is the premier list of core print and electronic resources for academic libraries, featuring nearly 85,000 titles in 117 subjects. Brought to you by ACRL's Choice® and ProQuest. Books In Print combines the most trusted and authoritative source for bibliographic information with powerful search, discovery, and collection development tools designed specifically to streamline the book discovery and acquisition process. LibraryThing for Libraries™ enriches your online catalog with data and features that invite your patrons to browse, search, and interact with your library’s holdings in completely new ways. 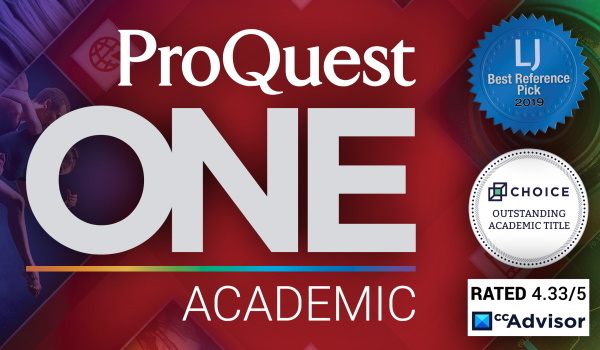 ProQuest Syndetic Solutions™ is the premier source of specialized high-quality enriched book, ebook, and media content. Syndetic Solutions™ offers more than 40 million unique descriptive data components, powered by Books In Print®, with content for books, CDs, and DVDs that brings your catalog to life. Bookwire® app makes it easier for easier for people to discover, evaluate, order, and experience books—consumers, librarians, and booksellers. It can be used on an iPhone®, iPad®, or Android device.